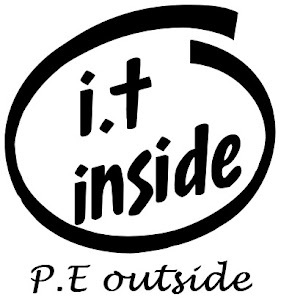 I.T Inside P.E Outside: What I learnt from my day at the VITTA conference! What I learnt from my day at the VITTA conference! Factory Model is out... Creativity, global awareness and entrepreneurship is in! The old model of marching students into class, having them sitting in rows, asking them to open their brains and teachers then attempting to stuff as much information as we can in before running a memory test is no longer an acceptable mode in which to prepare our young for the future. Instead we heard at the VITTA conference Professor Yong Zhao reiterate what we are fast becoming to accept is the ideal future for education within a school environment and that is a shift to developing individuals that are creative, passionate and globally competent. Individuals who are confident in their abilities, willing to take risks, able to connect with others to develop friendships and of course be alert to their world in order to make the best decisions possible. 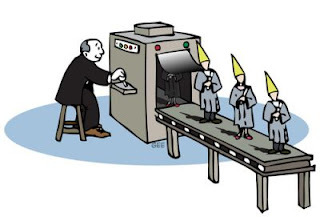 As we make work places more and more efficient we lose more and more jobs so those students we prepare for the "factory" life will find it harder and harder to find long term employment. The factory model prepares worker people for the unlikelihood of gaining a job. Every serious presenter had a twitter account and used it. This is how the world is interacting and we need to embrace and accept this. In fact as we were sitting in our conference listening to key speakers the twitter world was afire with conversation regarding the Mars Landing. The first keynote speaker discussed using twitter for Professional Development and networking. The next presenter I saw discussed it in a similar way, and also for using with a class. The next presentation I went to was about the global classroom and a teacher from a rural school discussed how she used Twitter to network with teachers across the globe to enrich her classes (and in the process her school). 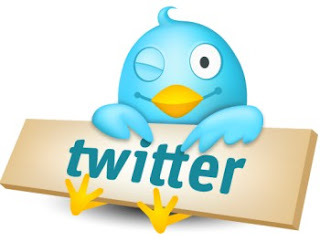 Through twitter this teacher was able to connect with teachers overseas as well as professionals in a variety of fields to match what the students were learning, including an explorer in Antarctica. Every few years we as educators take the time to review the resources that we are using (usually textbooks) and we make a decision to upgrade/change/develop those resources to best suit where the students are at. 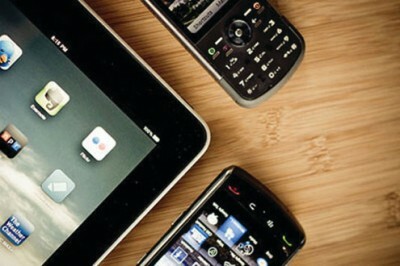 Some schools have even decided to introduce iPads/tablets or netbooks to their change. One thing that became abundantly clear from the sessions I sat in was that there were many passionate teachers who had brilliant ideas on how to engage their class using technology, only to be hampered by restrictions and policies. Many were whispering in the corners of conference rooms how their students aren’t allowed mobiles at school “but I ask them to bring them in and use them anyway”. These confessions could be construed as naughty teachers breaking the rules and not supporting the “policy” and maybe some are being deliberately cheeky but knowing this is happening just means a bigger question. “Why are so many teachers encouraging students to SBYOD (Secretly Bring Your Own Device)?” The answer if you haven’t already figured it out... is because it is obviously resulting in engagement in the lesson at hand. No teacher is going to invite more distraction into an already over stimulated environment (I’m assuming that all teachers are endeavouring to have engaging, interesting and challenging classes to begin with). Students and teachers alike should consider exploring and understanding Digital Citizenship and what is a responsible use of online capable devices so they can then begin to develop an agreement that will allow more flexibility in regards to bringing mobiles into the classroom. As teachers we’ve always known that learning doesn’t just occur in the classroom, however the way our schools are designed, planned and budgeted for often leaves us designing lessons that fit a timetable of so many lessons per week for x amount of minutes. Students are expected to walk through a door and instantly switch onto their subject. They’re expected to remember what was discussed previously and in some cases prepare for a future moment in the week when they will have a chance to revisit the subject again. In some cases we attempt to assist this behaviour with “homework” which may or may not be completed by the student and may or may not result in any actual “learning”. A constant underlying message during the sessions at today’s VITTA conference was that the classroom can and most likely should be extended outside the confines of the square room that we use to gather with our students. This can be done a variety of ways including the use of online collaboration tools for outside class hours, to the use of communication tools to connect with the world outside of the classroom/school/state/country. So if you’re not too sure, start small... get your students on Edmodo, use twitter or even explore what your school already has and start designing an online version of your class. Invite a colleague to “guest teach” via skype or even better just record your own podcast or start a blog for students to follow. All in all I found the day a great exercise of the mind and it was nice to know that I wasn't the only one finding the I.T policies and procedures in my school challenging. It was great to connect with a few people through twitter and hopefully I can take back what I learnt from the day to share with my colleagues and develop more exciting and interesting dialogue.